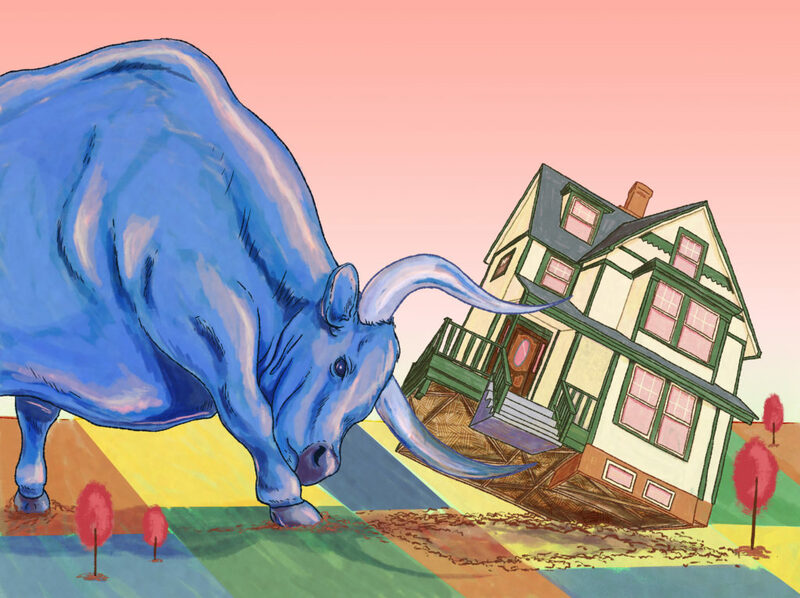 Although maybe not as fast as some homeowners like to think, home values are still rising. 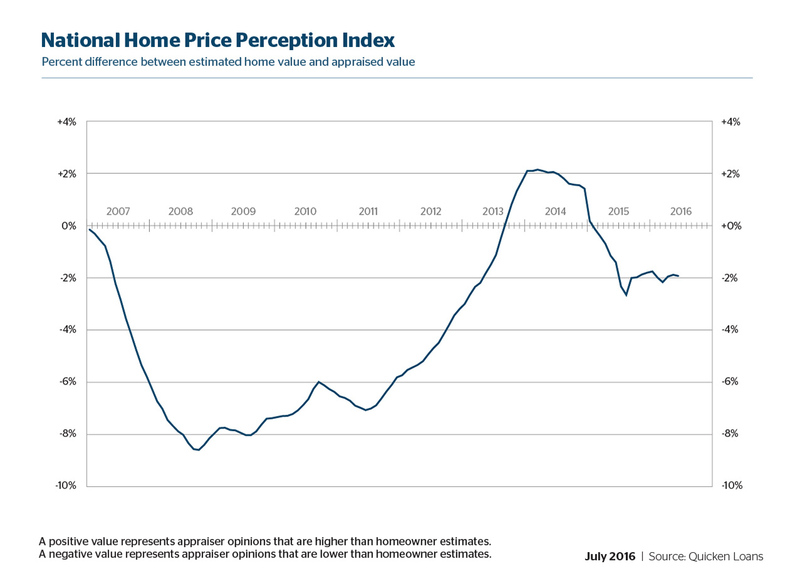 The Home Value Index (HVI), which measures home values across the nation, increased 0.84 percent month-over-month in June and 4.47 percent year-over-year. As the report points out, home values and perceptions can vary widely across the country. Homeowners in markets like Denver, San Francisco and Dallas are likely to see appraisals from around 2 to 3.23 percent higher than their expectations. 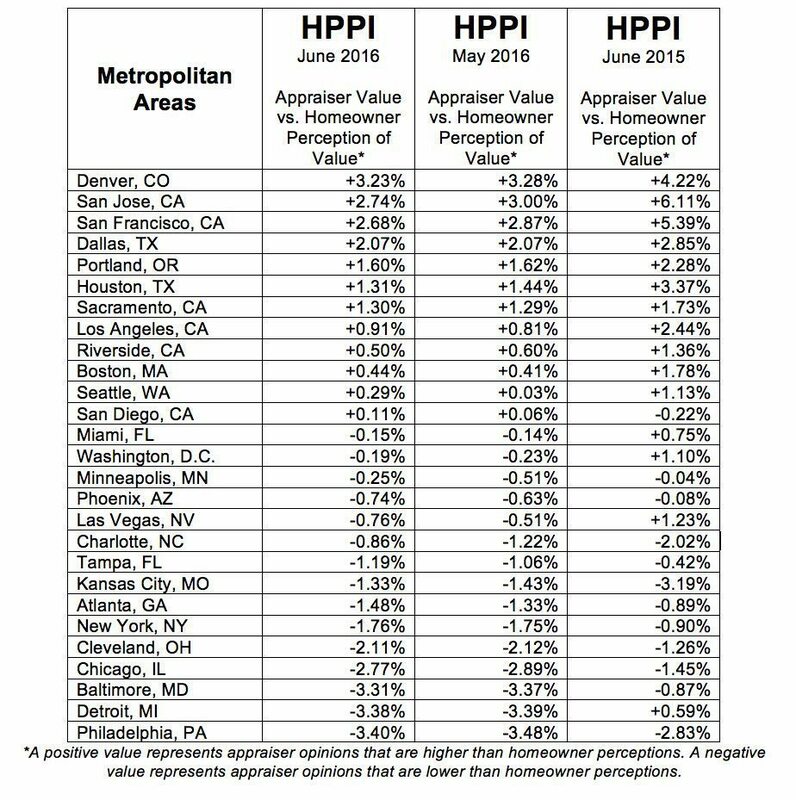 And although their counterparts’s expectations in Cleveland, Chicago and Detroit aren’t in line with appraisals, either, it’s on the opposite end of the spectrum, with the HPPI in those markets falling anywhere from -2 to -3 percent. The western region of the country saw the highest increases in home values month-over-month (1.45 percent) and year-over-year (5.84 percent), while the Northeast saw the lowest increases in both, growing 0.17 from May to June and 2.07 percent annually. The leaderboard was switched on the HPPI scale, though, with Northeastern homeowners overestimating their home values by 2.14 percent in June and those in the West by 1.7 percent, according the report. San Francisco homeowners continue to experience positive home appraisals, but the report says they’ve smartened up to the worth of their homes in the past year. The difference between homeowner perceptions and actual appraisals in San Francisco was a positive 5.39 percent in June 2015, compared to 2.68 percent in June this year. The positive HPPI also dropped since May, when the gap was 2.87 percent. The Quicken Loans Home Price Index and Home Price Perception Index measures the difference between appraisers’ values and homeowners’ opinions of home values. It compares estimates on homeowner-supplied refinance mortgage applications to the appraisal later performed. The national composite is determined analyzing appraisal and homeowner estimates throughout the country. 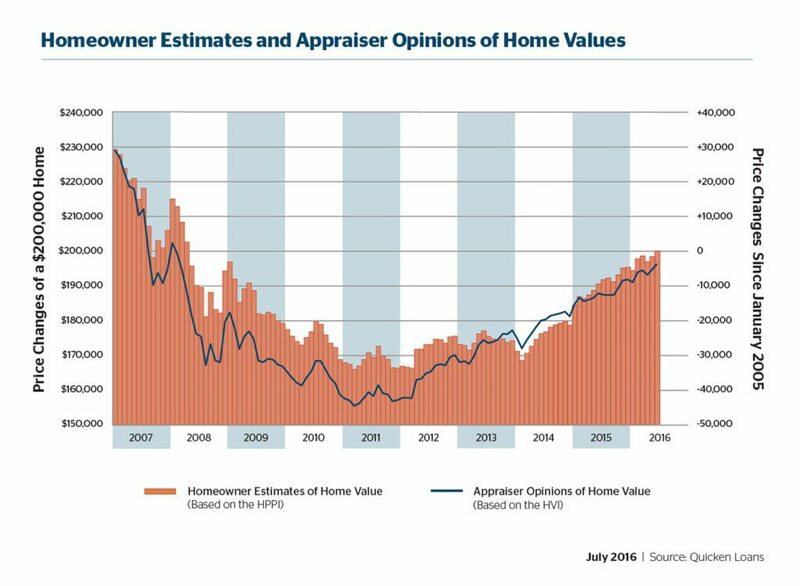 Quicken’s Home Value Index is based solely on appraisal data from home purchases and mortgage refinances.